Do you ever wonder where this is all going to end? 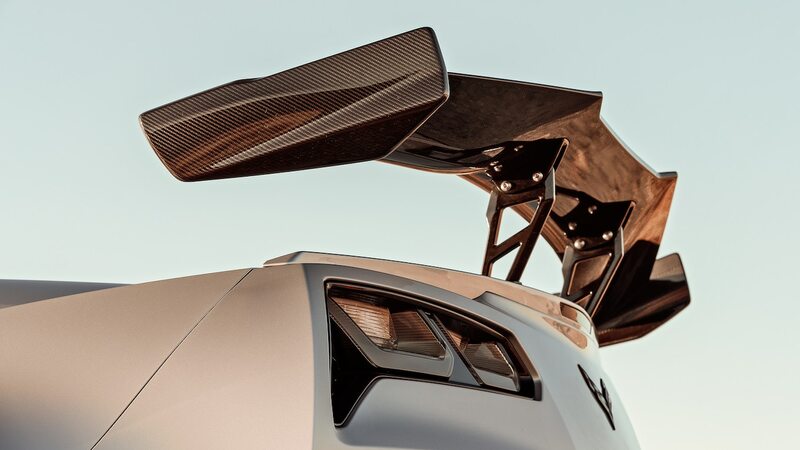 More power, bigger wings, better aero, fatter tires. 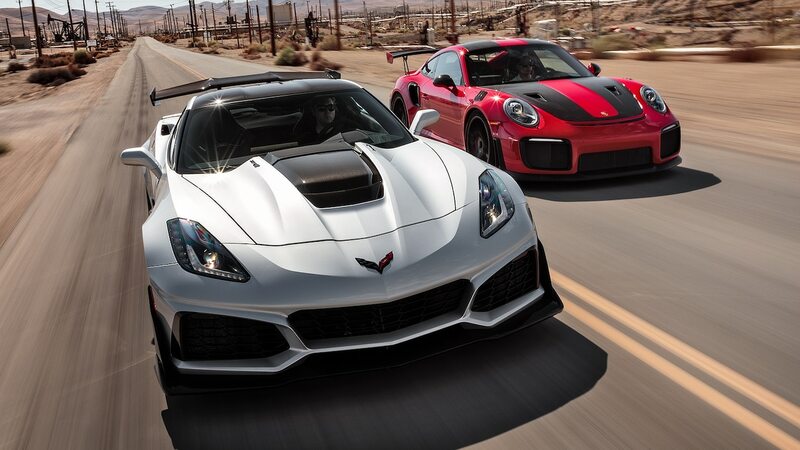 Remember when the ’90s Porsche 911 Turbo and Chevrolet Corvette ZR1 hit 400 horsepower? We thought we were all going to die. Yet now we’re close to doubling that. What hath the demon seed of technology wrought? 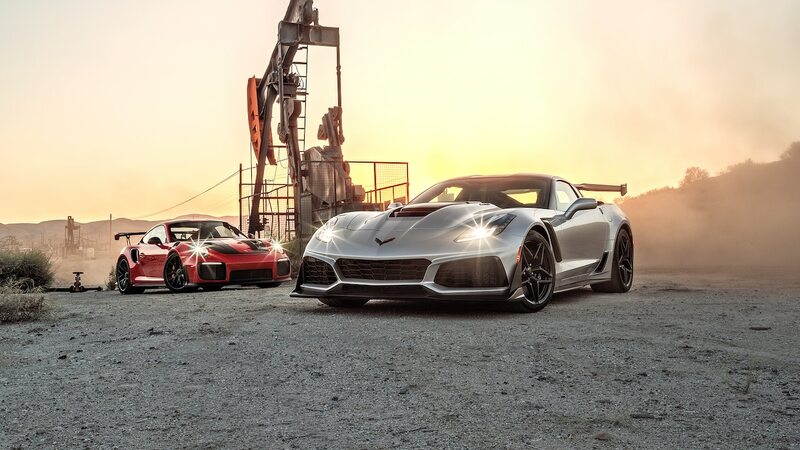 Let’s start with the ZR1, because ’Murica! 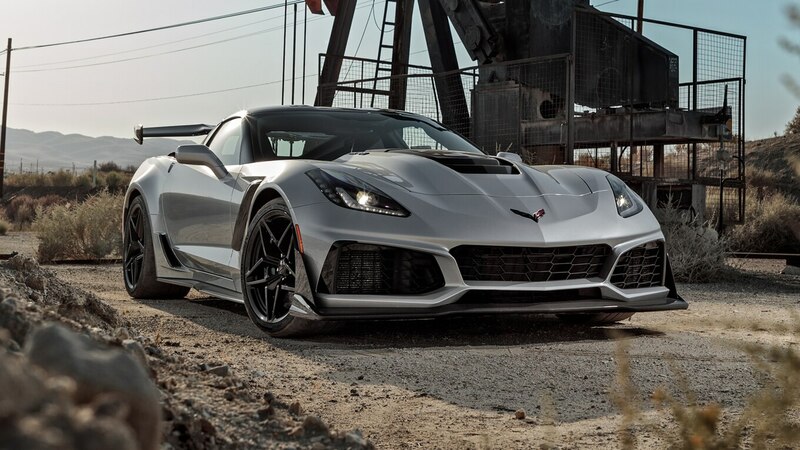 Today’s ’Vette is the last of the C7 generation, created directly out of the C6, tracing its history back to the 2005 model year. The standard engine then was the 6.0-liter LS2, rated at 400 hp, later upping to 430 with the 6.2-liter LS3. 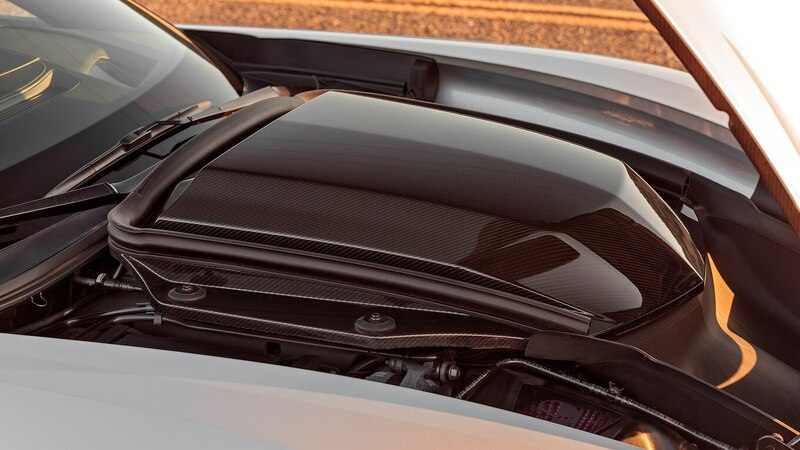 In response to the ever-swelling output of its American V-10 rival Dodge Viper, the C6 ZR1 fired a major salvo in the dyno wars with its 638-horse supercharged Blower-Under-Glass (with see-through hood bulge). 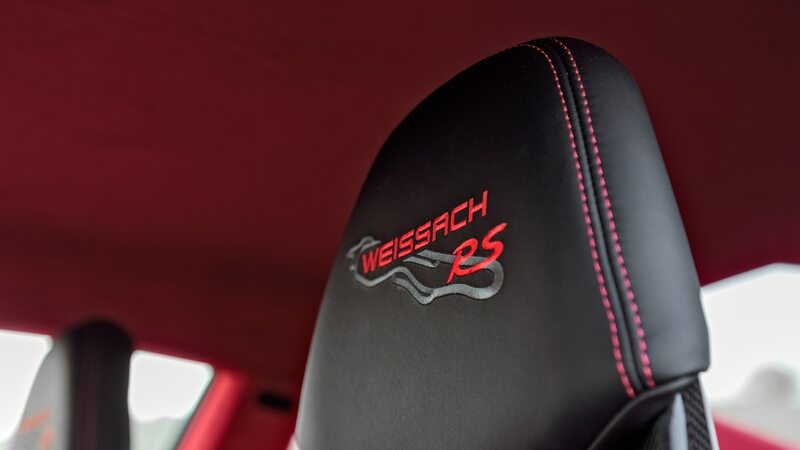 A couple years later came the Z06, with 650 horses and a strong tendency to overheat—both the engine’s vital fluids and the intake air temps—when driven at pro speeds on track (something I discovered on my first three laps at a Road Atlanta press day). 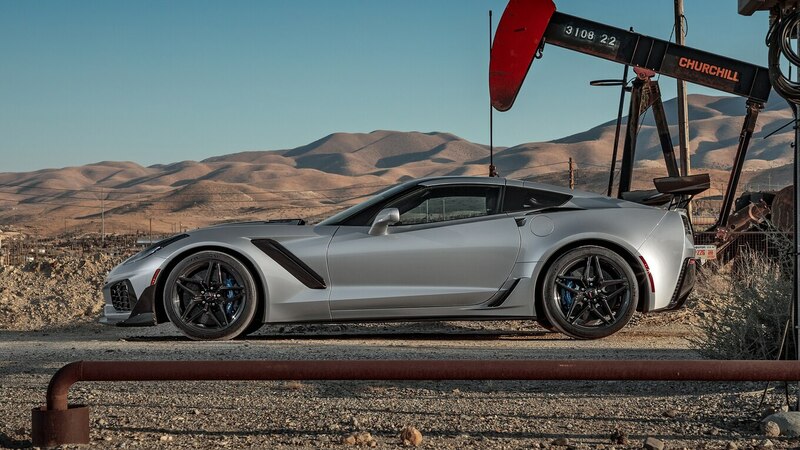 This track-oriented model was simply not ready for prime time, though it’s true that more conservative owners were able to successfully track their Z06s at a milder pace. 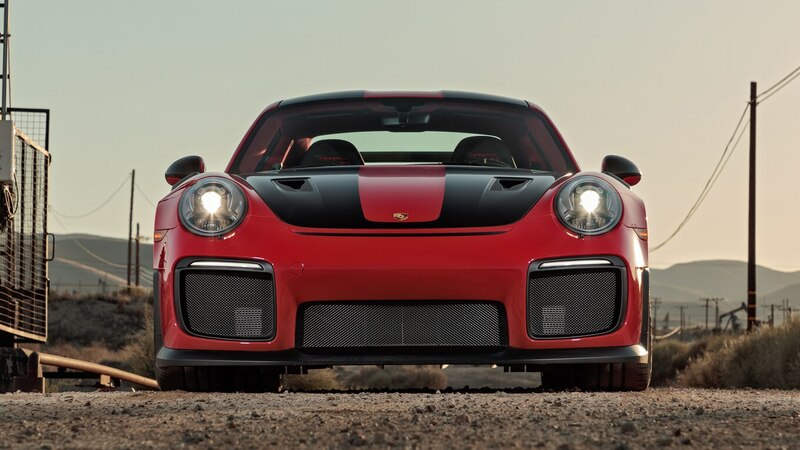 The GT2 RS makes more power than any factory 911 before it. “Big deal,” you say. 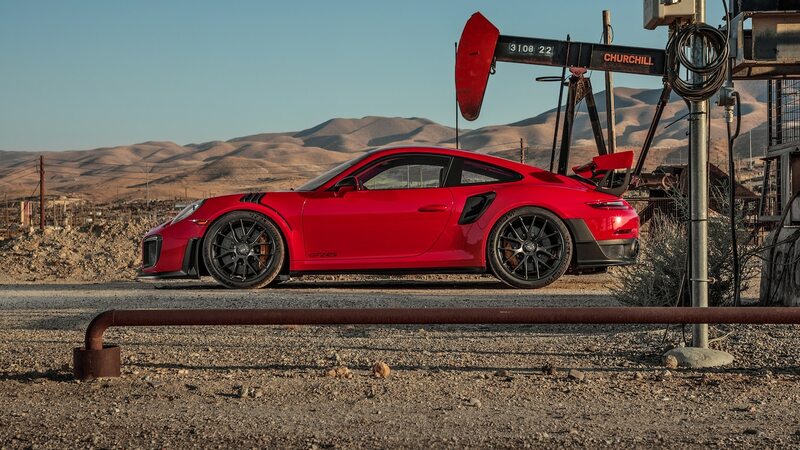 “We’ve had 911 Turbos for years, and they’ve been gradually evolving through 400, 500, 600 horsepower, and they’re fine. Nothing new.” Wrong, Bratwurst Breath. 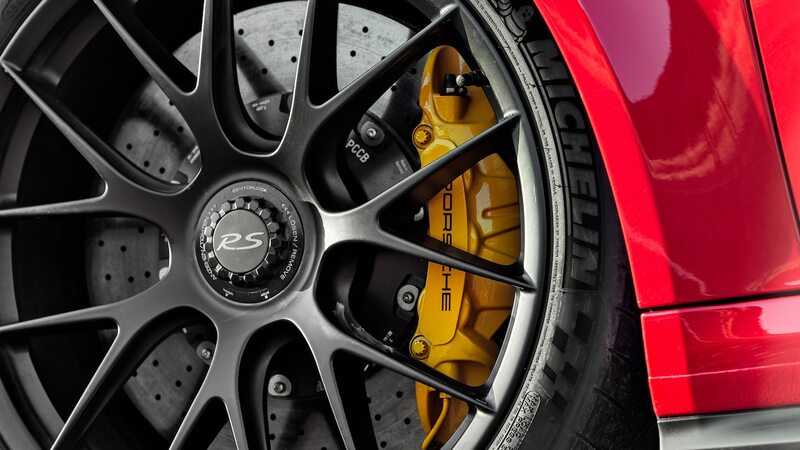 This most-potent-ever 911 is two-wheel drive. 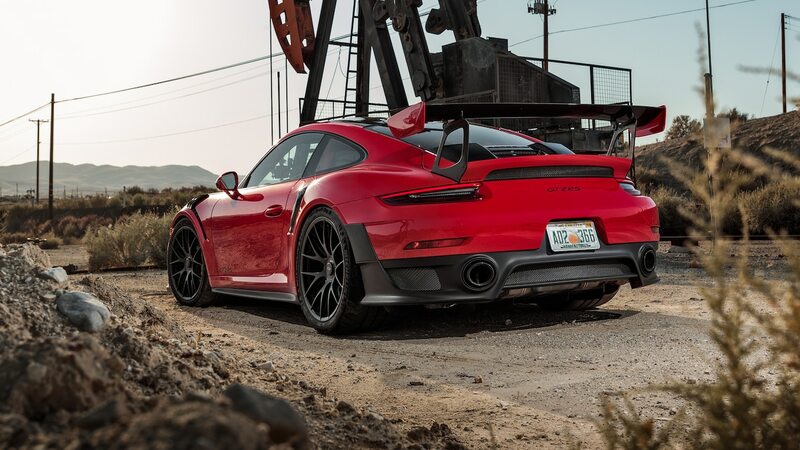 The real magic of this machine is its ability to send 553 lb-ft of torque (214 more than the awesome GT3) to just the rear tires and turn it into acceleration—not wheelspin and tire smoke—without the added complexity and weight of all-wheel drive. With such devotions spoken, let’s see what happens when we let slip the dogs of war. 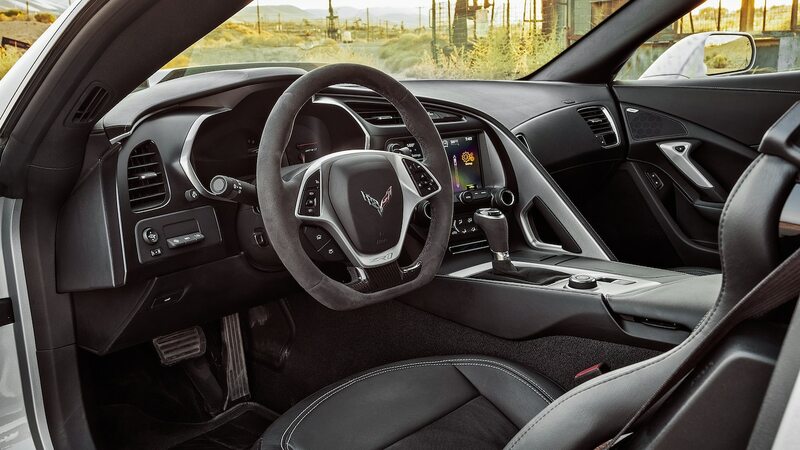 The Corvette’s great technological step forward is the way it never lost output from the boosted LT5 V-8. Unlike its predecessor, this ZR1 pulled hard the whole session. 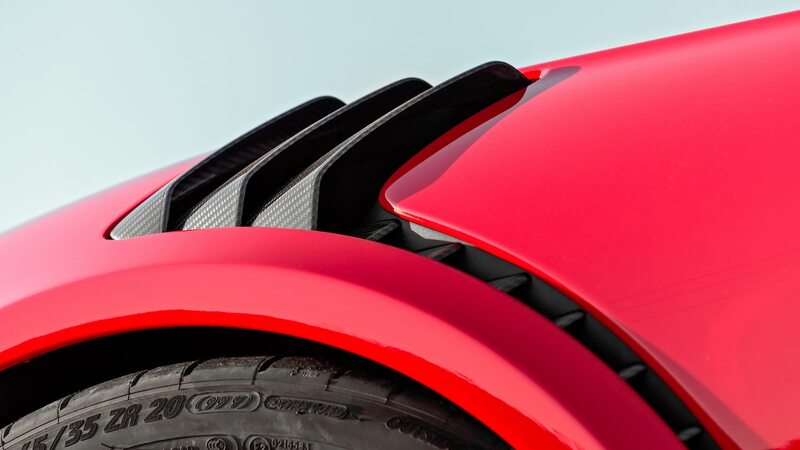 Credit this advancement to the 52 percent larger Eaton supercharger and more efficient intercoolers. 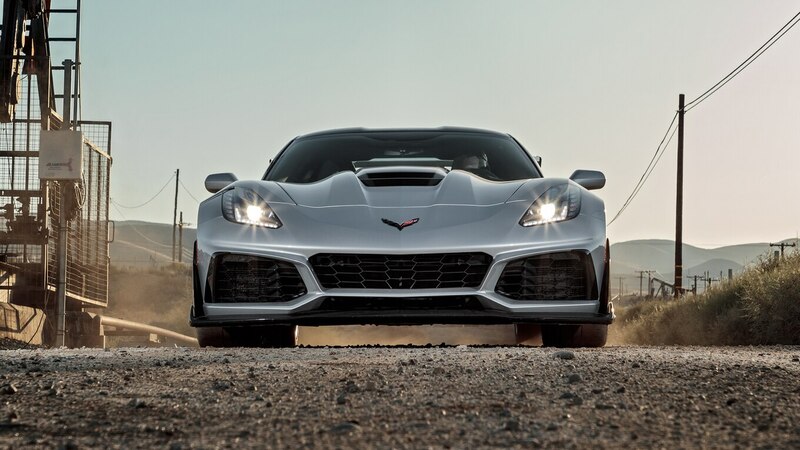 However, the 755 horses in the ZR1 never seemed to quite pull like those of the GT2 RS and others in the 700 Club during our Best Driver’s Car testing—both in the quarter mile and at the top end. 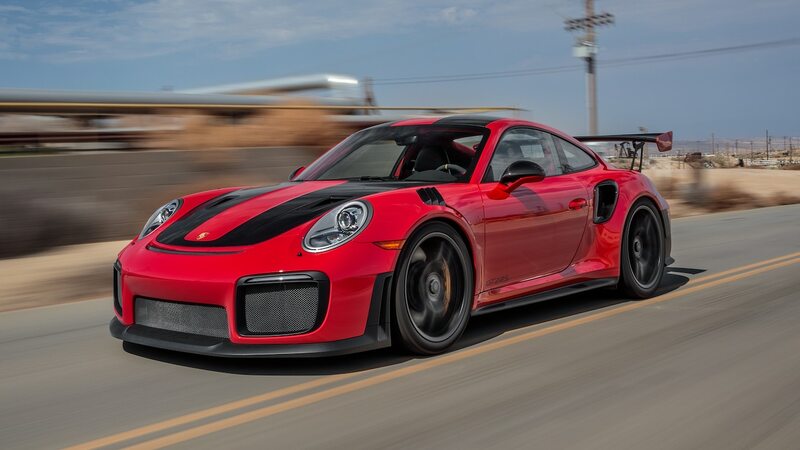 At our World’s Greatest Drag Race, I had the unmitigated pleasure to floor both cars down Vandenberg Air Force Base’s pristine 3-mile-long (4.8-km) landing strip to achieve my own personal land speed record of 200-plus in the GT2 RS. 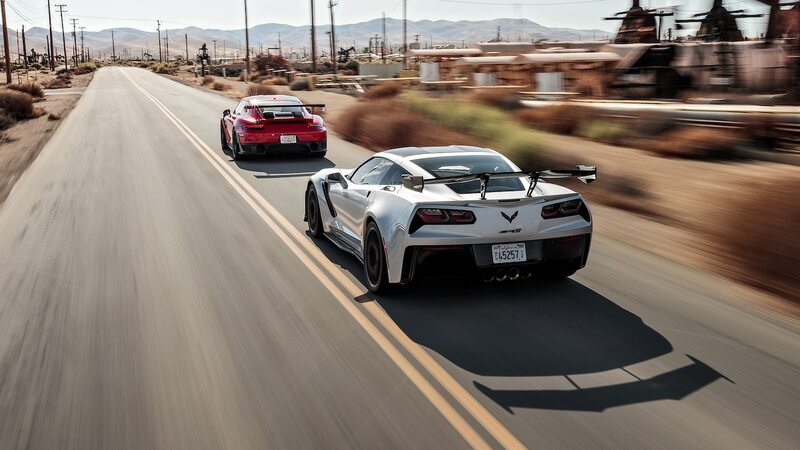 By comparison, the ’Vette lagged behind, time after time, even without the ZTK package’s high wing. With similar top speed claims, what gives? 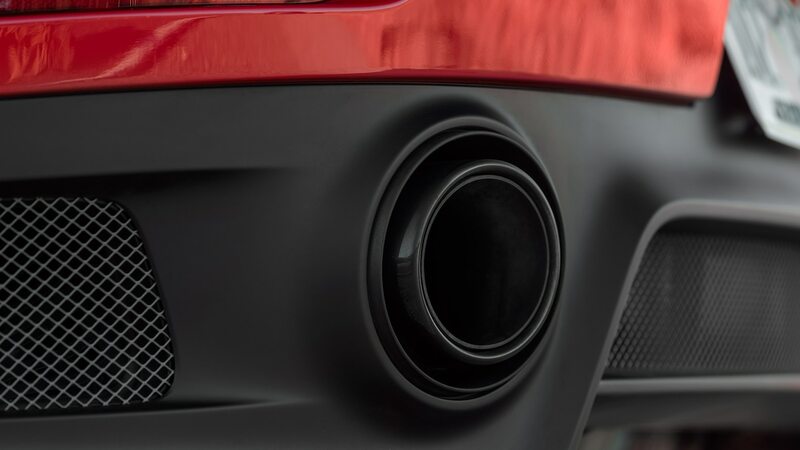 I can only report faithfully what mine eyes have seen and hypothesize that the intercooling is perhaps still not enough to keep up, because internet dyno tests do seem to support the 755-hp estimate. Hot-lapping at WeatherTech Raceway Laguna Seca showed similar results on the front straight. 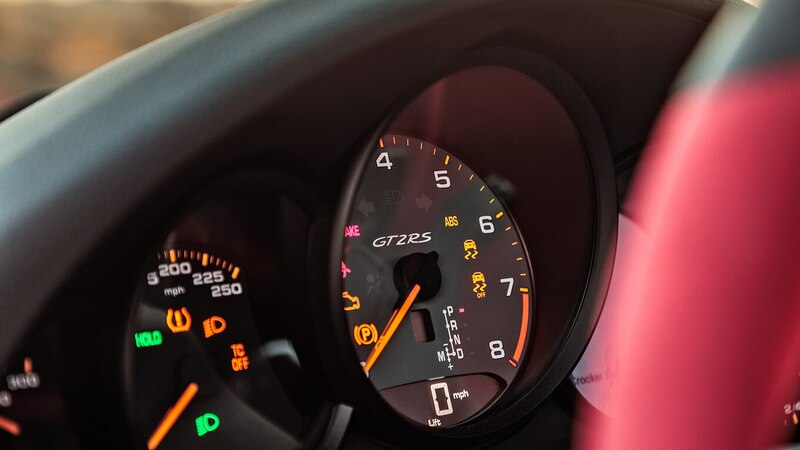 The GT2 RS reached a heady 149.0 mph (240 km/h), but the ZR1 made only 141.6 (227.9 km/h). All of that cannot be explained away with a better corner exit. That’s simply too big a spread. Some of those Chevy horses weren’t pulling their weight. But enough about straight-line fury. What happens when the wheel is cranked into Turn 1? In my world, the gods live in the corners anyway (although I must admit, even straight ahead gets interesting once you’ve crossed the double century). At Laguna, Turn 1 is a gentle left bend over a rise. It’s been an easy flat in nearly every car I’ve driven there over the years—until the big-hitter street cars started approaching 140 over that crest. They’d get light, even get some fifth-gear wheelspin, and track far right in a hurry. 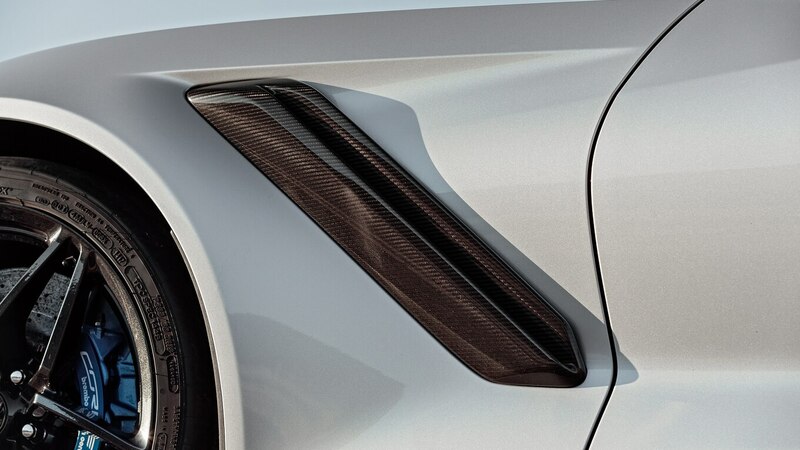 The bend is a genuine corner at those velocities, with a late apex, and straightening up the steering becomes a necessity to remain on the pavement. 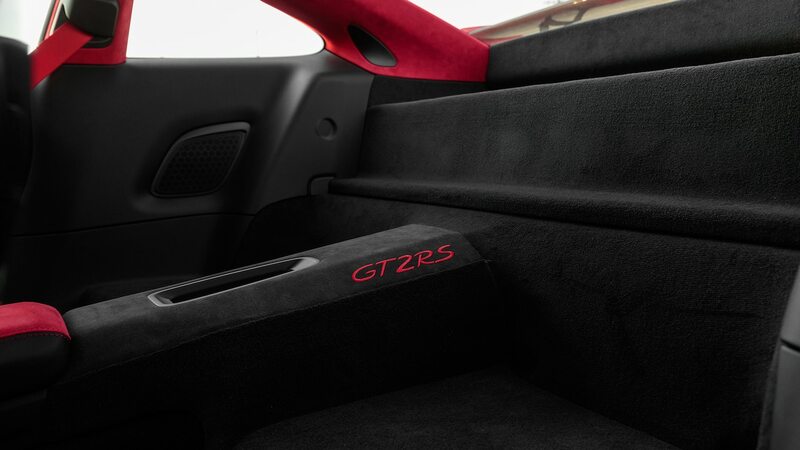 Ten years ago, the last-gen ZR1 was the first car that forced my right foot to feather back, for fear of disaster on the landing. Well, this year the ZR1 once again achieved the highest Corvette speed ever over that yump, but it stuck the landing easily. The ZTK aero proved effective there and at several other fast corners around the circuit. 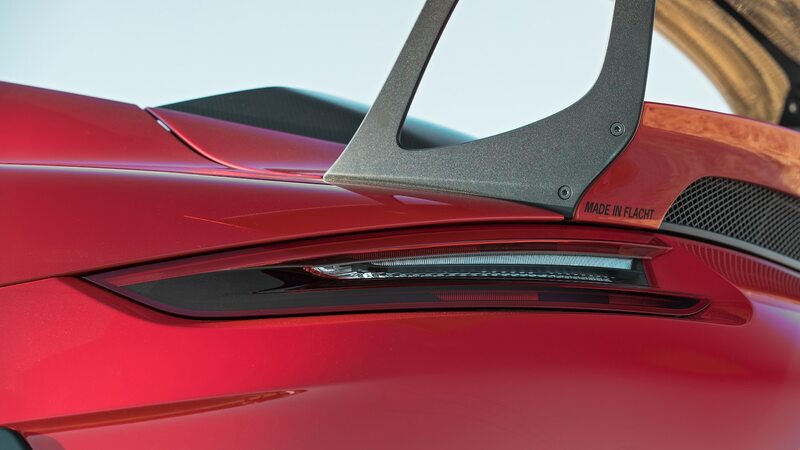 It’s not race car levels of downforce, but it’s significant for a street machine. Unusually, the higher the corner speed, the better behaved the ZR1. 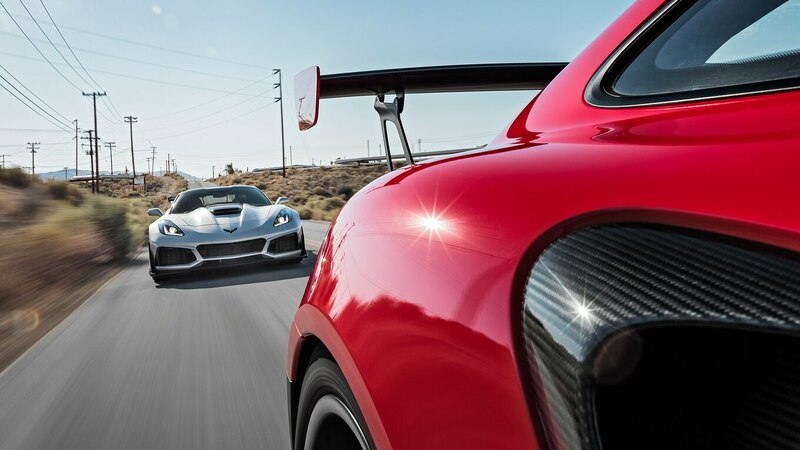 On track, most cars are the other way around: Faster means dicier. When I set the lap record at Road Atlanta in the new ZR1 on a Chevy press day, the car was stable and hooked up in the high-speed Turn 12 and dropping into the esses, which is critical to a quick time there. I mean really well behaved. 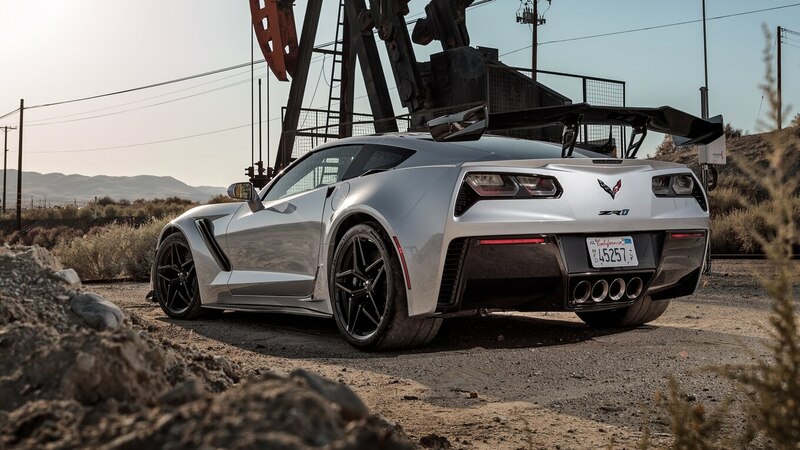 This leads us to the Corvette’s great downfall: low-speed traction—which is also the reason for the history lesson. 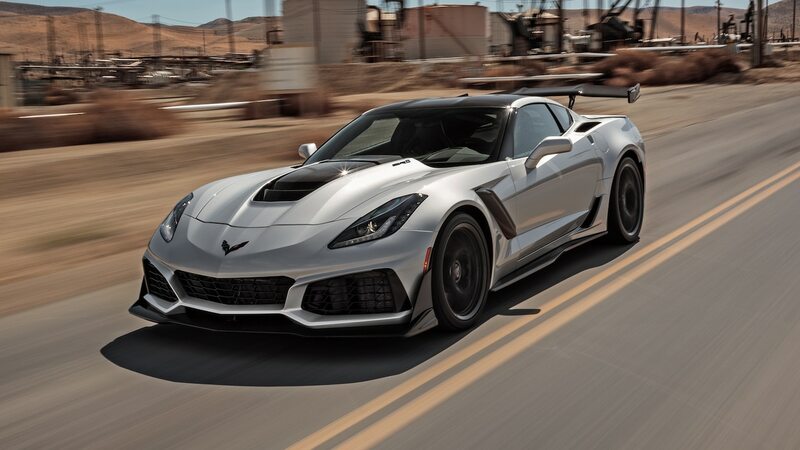 When power was under 500, the chassis could handle it, but as the Z-series cars pushed it over 600—and with the ZR1 now cresting 750—the rear suspension is overwhelmed. 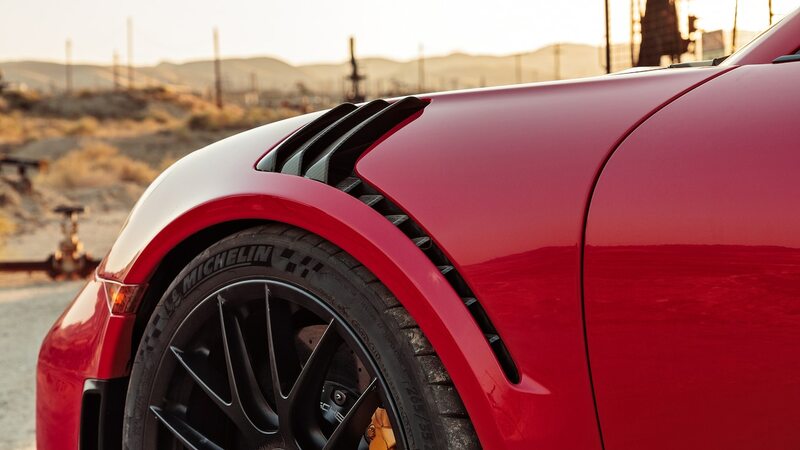 High-powered ’Vettes are diabolically prone to snap power oversteer in the lower gears. 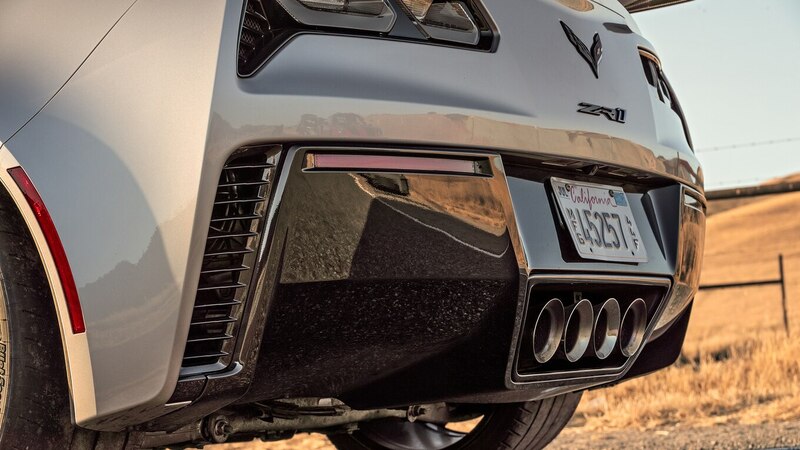 The wonderful additional ponies in the ZR1 make it even worse. True story: I kicked out the ZR1’s tail on a deserted side street, and it ripped the wheel from my hands so hard I reinjured a torn rotator cuff. Brutal. 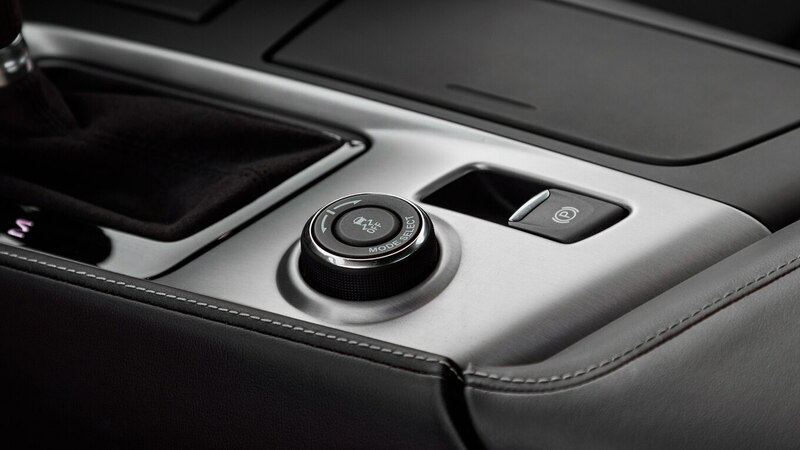 In these cars, the driver had best leave the multimode traction and stability controls activated. This handling issue is nothing new. 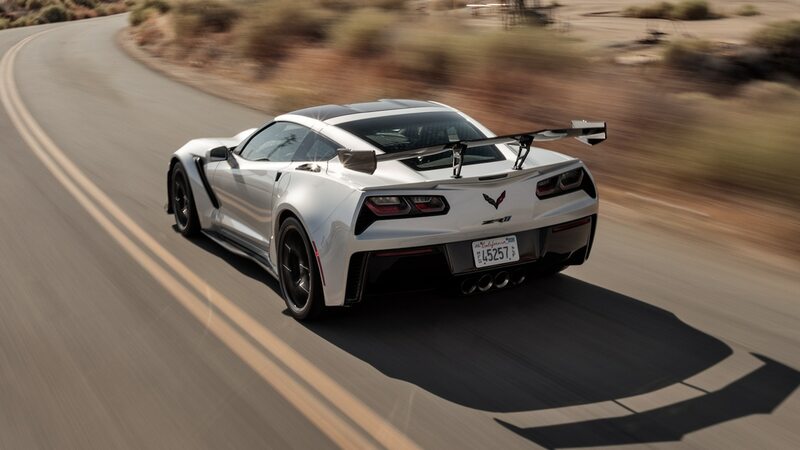 Chevy has never solved the perennial problem of the rear suspension not putting power down well or the general fright-inspiring twitchiness of the rear end. 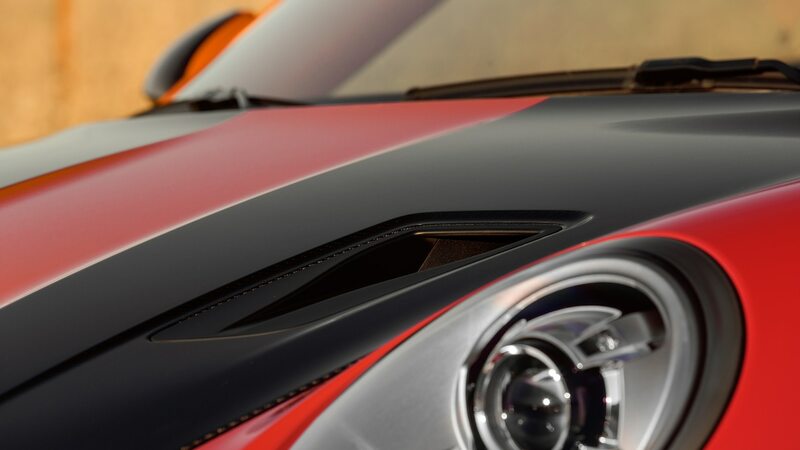 It frustrates me, and it holds the ’Vette back from its far greater ultimate potential. 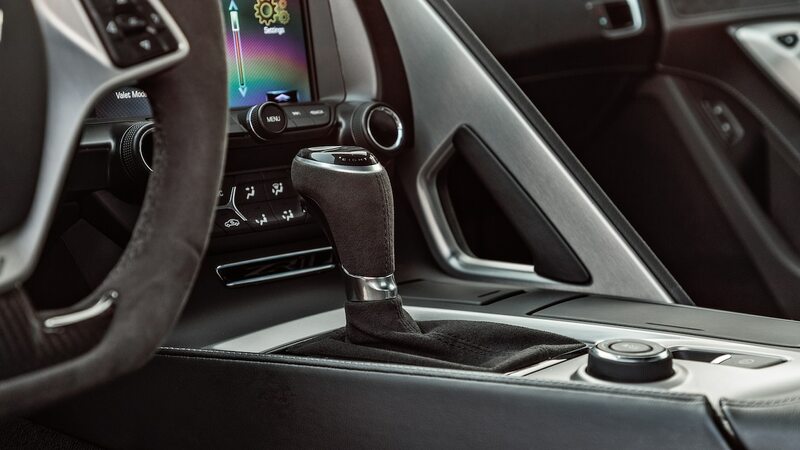 The unruly and untrustworthy rear grip makes the car a wild ride in first through third gears, which means in most corners. 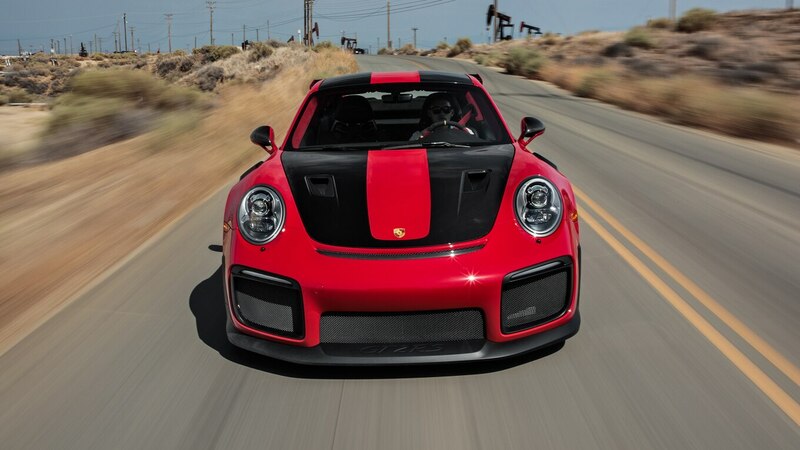 The Motor Trend notebook is rife with editor remarks about it. It’s a thrill and an adrenaline rush, sure, but not exactly for the right reasons (fear and terror being culprits cited by some pretty veteran scribes). The Z06 was always a wrestling match to drive at the limit on track, and the additional 100 horsepower makes it even more so, except that the ZR1 is much improved at high speeds. 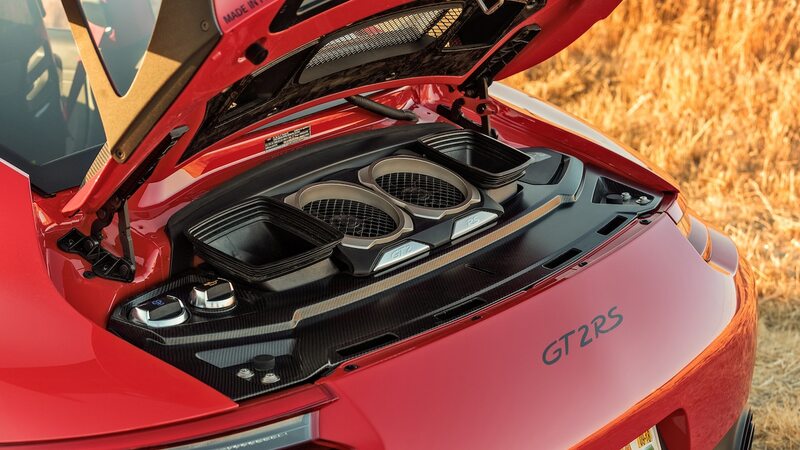 The situation reminds me a lot of the Viper: It’s always been a real handful, and its engineers seemed to just accept it as part of the car’s masculine personality—until they miraculously, completely cured it with the ACR model in the last year of production. Would that Team Corvette could have finished with the same flourish. The armchair engineer in me suggests rear geometry; perhaps it has too much anti-squat. The reason? I’ve tried all manner of factory shock settings, year by year, and none seem to cure it. It can help, though. 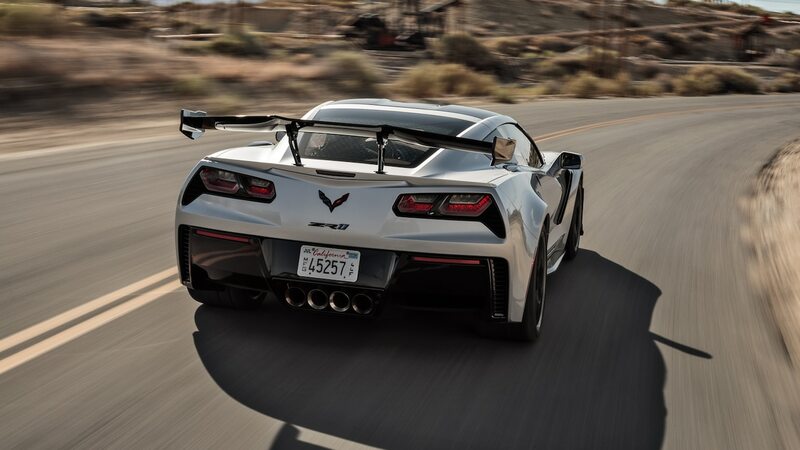 For the Z06/7 and the Grand Sport, I recommend placing the suspension settings to Sport rather than Track. 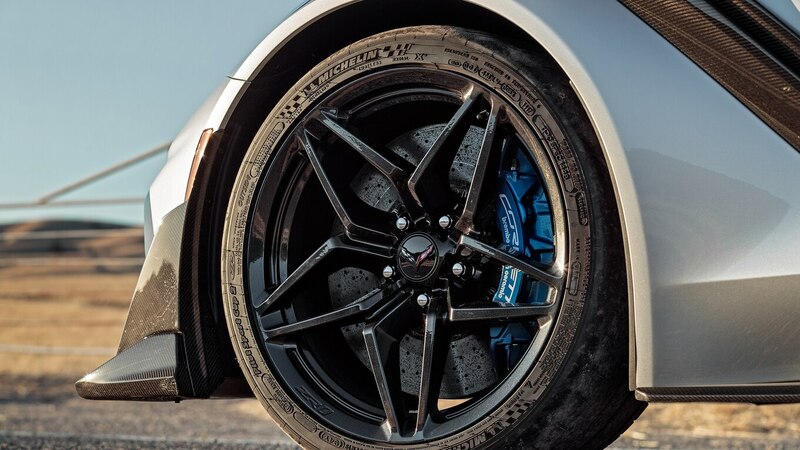 Yet the ZR1’s damping package feels softer on all settings than the Z06’s, especially in Race shock mode. 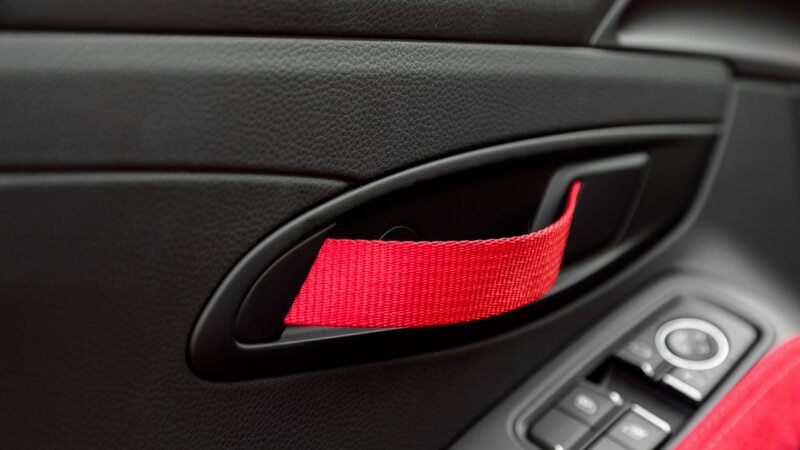 It’s great for comfort but still doesn’t tame that nervous twitch. 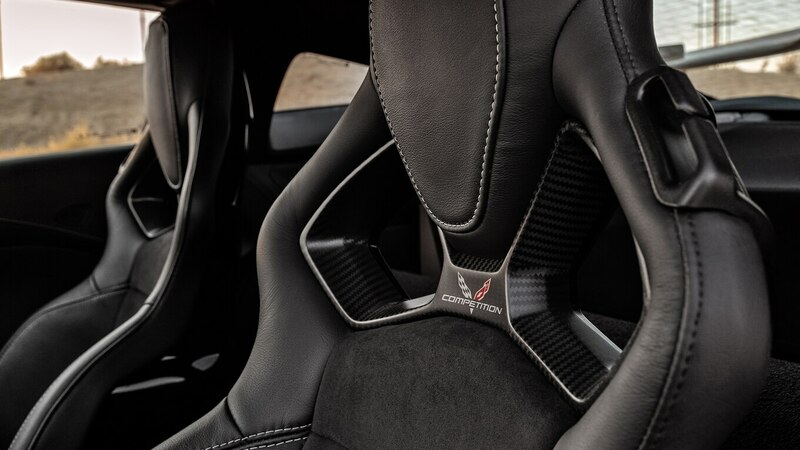 Some drivers, especially talented ones, actually prefer a twitchy turn-in, so perhaps Corvette’s dynamics team likes it this way. But I don’t. Like I said in my Twitter war regarding the pre-ACR Viper a couple years back, bad-handling cars scare me. 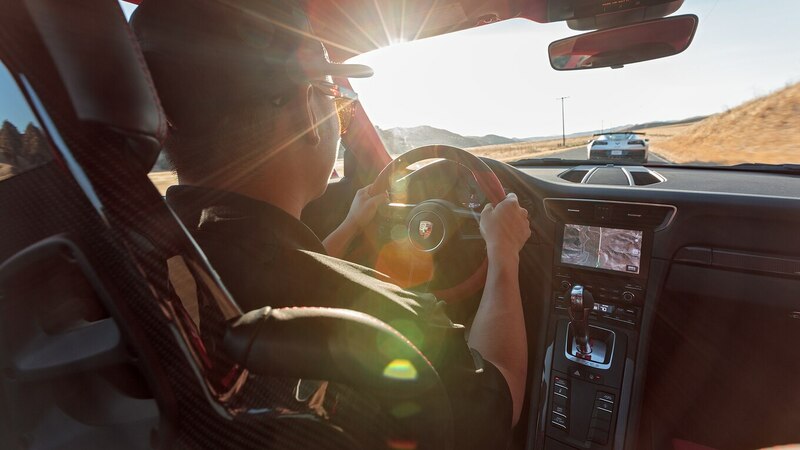 I don’t want to work that hard, and in a well-balanced sports car, I don’t have to. Not all my venom is directed at Chevrolet, though, which means it’s time for my official Porsche Motorsport rant. I spent a lot of time on track in 996 versions of the 911, and it was always a challenge to get good traction accelerating out of a turn. Our archrival BMW seemed to be as good or better, but with a front engine. That didn’t make sense. 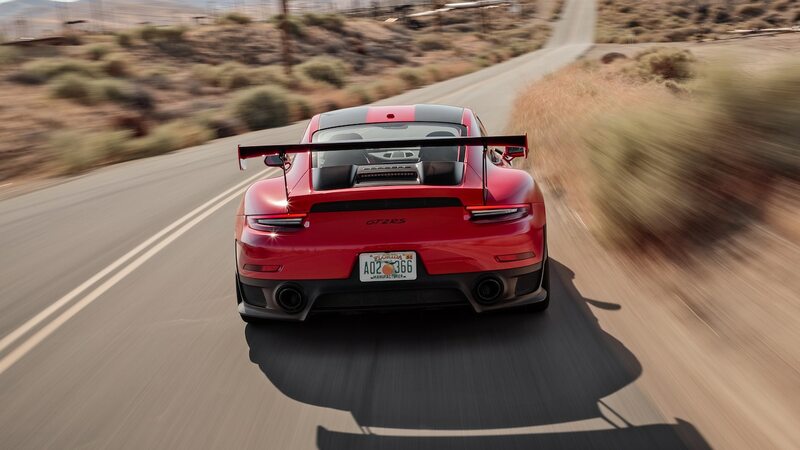 But I felt the 911’s tail wanting to snap loose if I wasn’t careful about the throttle. 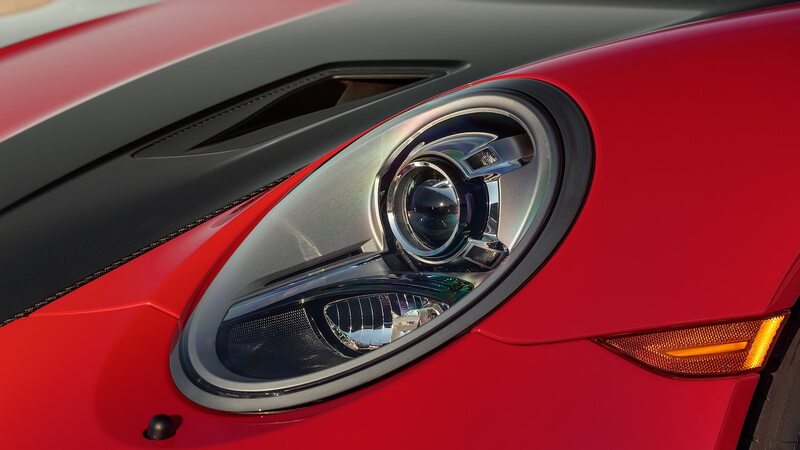 Interestingly, it seemed like the more racy the 911, the worse it behaved, especially in the last eight years. The Motorsports department seemed to like pointy oversteer. But why? My hypothesis: Perhaps their Werksfahrers—young superstars who grew up karting—do their test-driving. Karts have a solid axle, no differential. If the driver doesn’t kick it sideways, it understeers like crazy. I figure the Werksfahrers bring this psychology over to the big cars, because that’s just how they felt. At least, that’s how the factory cars felt when I raced them. 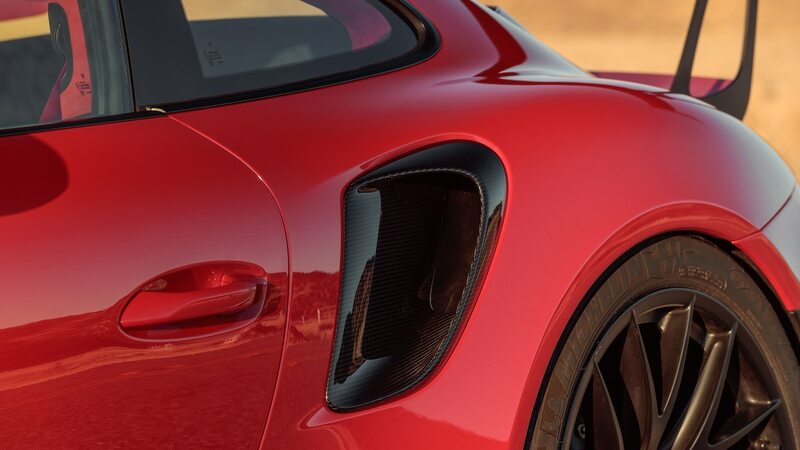 For years, I’ve felt that the basic street Porsches were the best-balanced and that the closer it got to Porsche Motorsport, the worse the cars handled and the more they oversteered. Some consider that sporty, lively. I consider it unnecessary. Three recent cars with which I am intimate—the 911 GT America for the IMSA GTD-class a few years ago and the 991-era GT3 Cup cars, both the 991.1 and the current 991.2—were difficult to drive fast. They were dicey, quite spinnable, and spooky. Not what a customer-racer needs. Enter Frank Walliser, the relatively recent head of Porsche Motorsport, with whom I credit the great success of the GT2 RS. 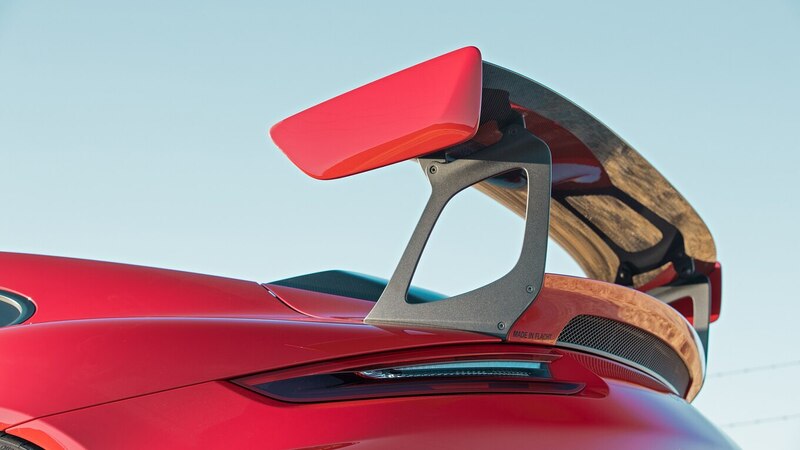 With this new-gen street-legal racer, I see a real change in chassis behavior, one I’ve never before seen in a modern-era 911. Stability. Traction. Grip. Power to the ground. A real, positive omen for the Motorsport cars of the future. 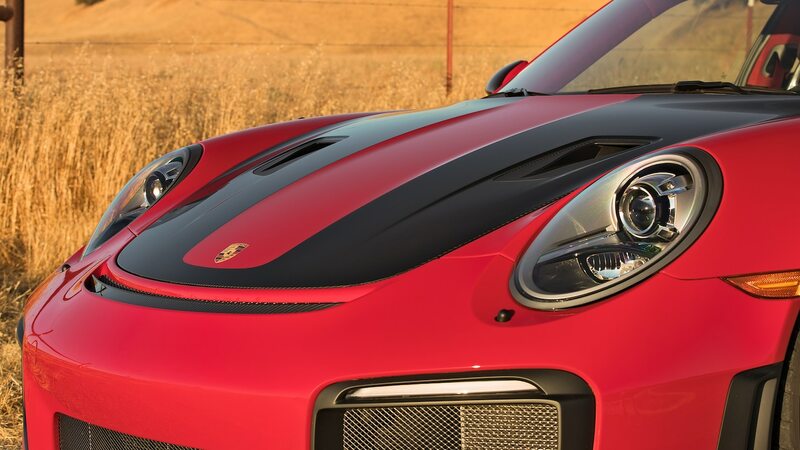 The GT2 RS was my personal choice for Best Driver’s Car (sorry, Lamborghini). Stable and confidence-inspiring yet with precise steering response even under full throttle, a tough combination to achieve with rear weight bias. Balance. 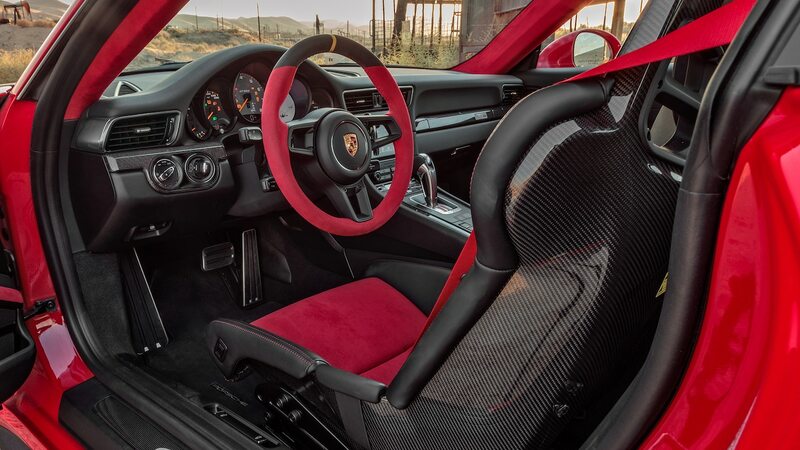 I argued hard for it, but my colleagues had not experienced the sublime pleasure of driving it on a velvet-smooth racetrack, where I found it did everything so right. It felt as if a heavenly beam of light had shone down upon it, endowing it with magical powers. 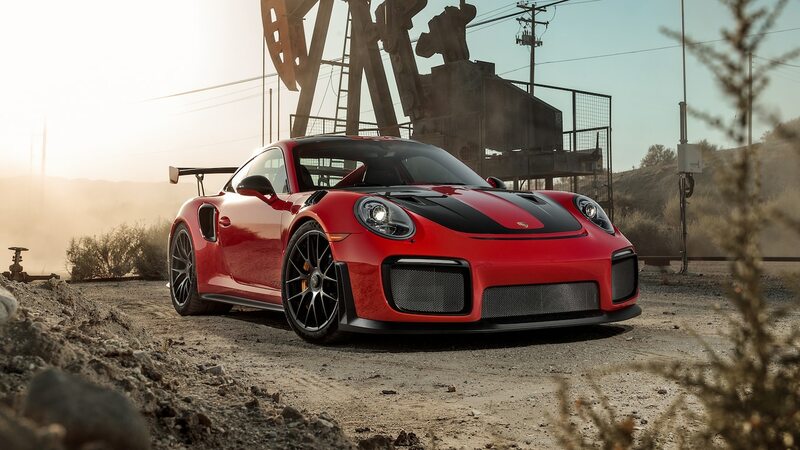 Part of the value in the GT2 RS comes from sophisticated systems like PASM, rear-wheel steering, dynamic engine mounts, Porsche Torque Vectoring, and Porsche Stability Management. Yet it’s more than that. These aids have been tuned with great finesse. 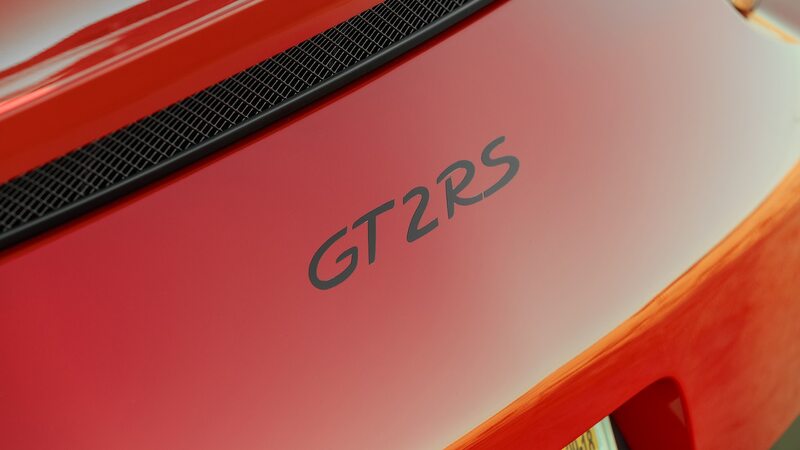 The latest GT3 RS has the same systems, yet it’s nervous on corner entry. (Shall we blame the karters again?) That car was a disappointment to me; although nearly every component was made more track-oriented from the GT3, the balance was lost. That was my concern here, and my joy to discover. 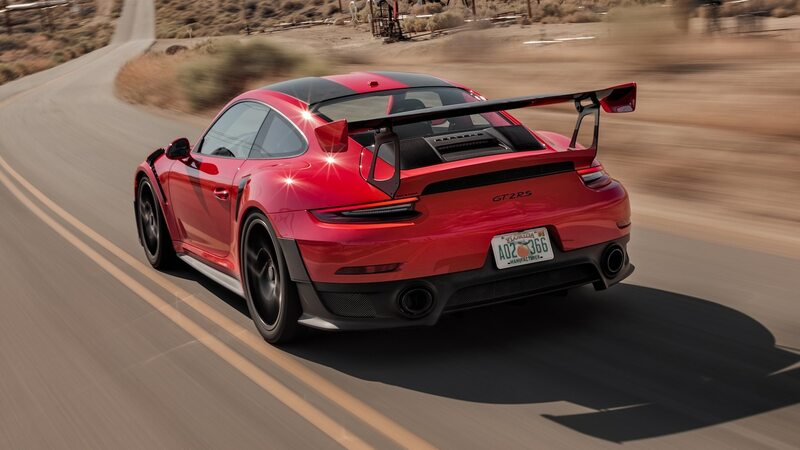 This is the best-ever 911. In braking, I have bragged that Corvettes have world-class capability, and although braking is still very strong, the pedal feel has gone soft in all six cars I’ve driven on track. I don’t notice it on the street, but that firm, instant response I enjoyed now feels “like stepping on a wet sponge,” according to the testing notes of one of our editors. The Porsche? Perfect. Immediate, linear, and record-short distances in our testing. And tires. 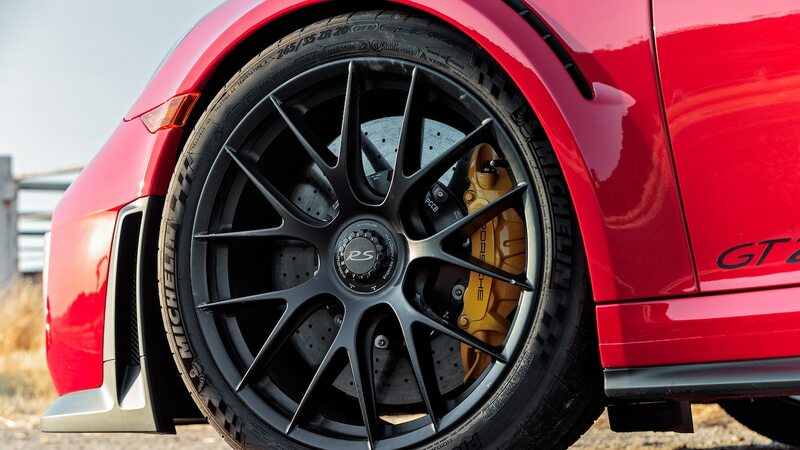 Although both cars have Michelin Pilot Sport Cup 2s, each is tuned to its own spec, and we at MT have recognized the ’Vette’s rubber as something special. 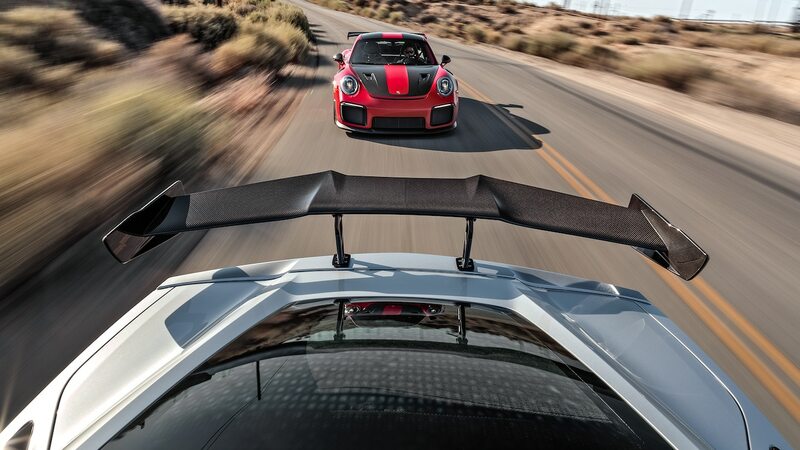 But to the seat of my pants, these latest Porsche GT2 RS R–spec SC2s have spiraled up the bar. I still remember BDC Laguna Turn 2, lap one for the record. As I cranked the wheel toward that late apex, I exclaimed aloud, “Grrrrrip!” and the Racepak software confirmed the sentiment a split-second later. 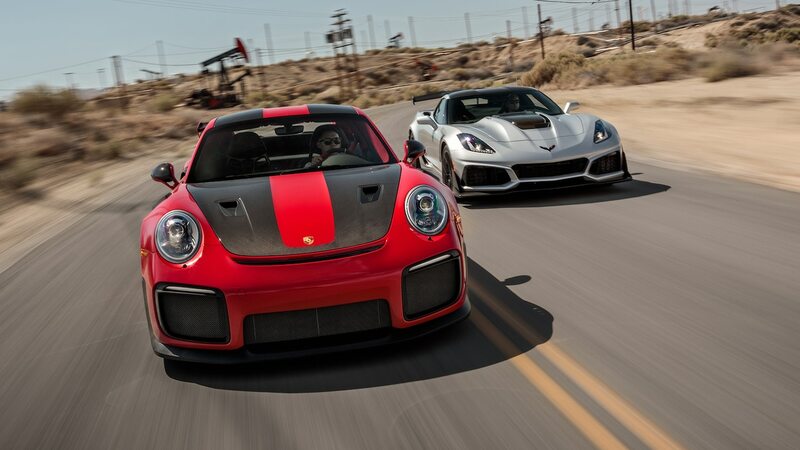 To compare the ZR1 and the GT2 RS, start with the price. The Corvette’s $131,000 USD can look so cheap! 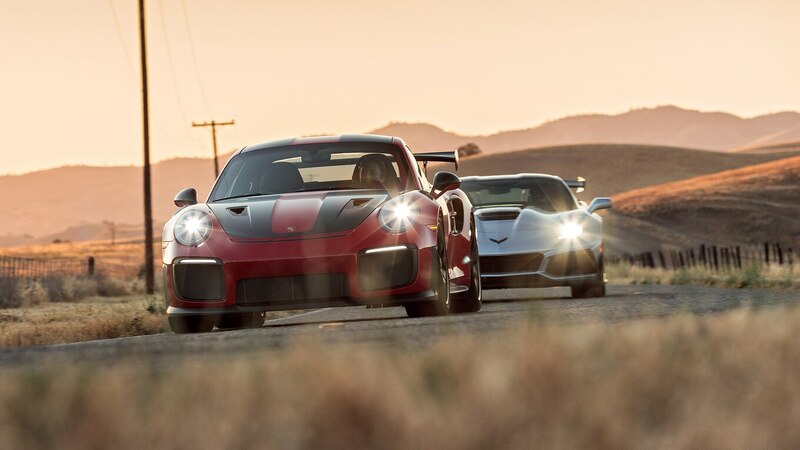 Beyond that, the Porsche is a clear winner in every category save one: machismo. 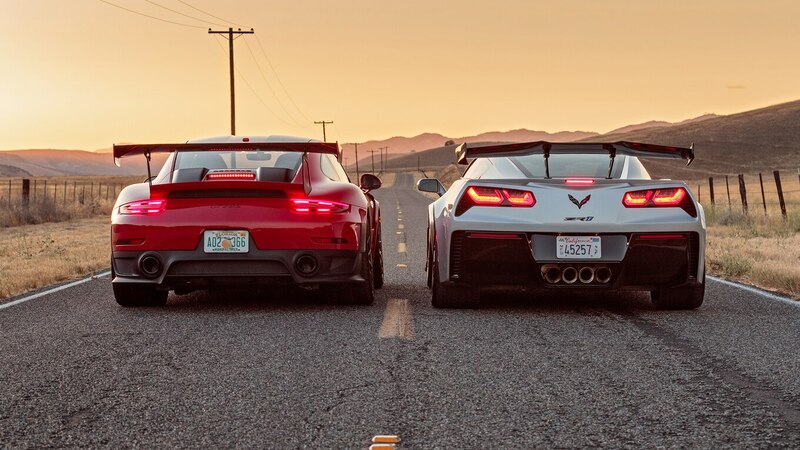 The Corvette wins that staredown, with the right badass tattoos on big biceps and a sharp goatee over a pressed button-down and a perfect complexion. It’s strong and loud and demanding, making proud and striking entrances and raucous exits. 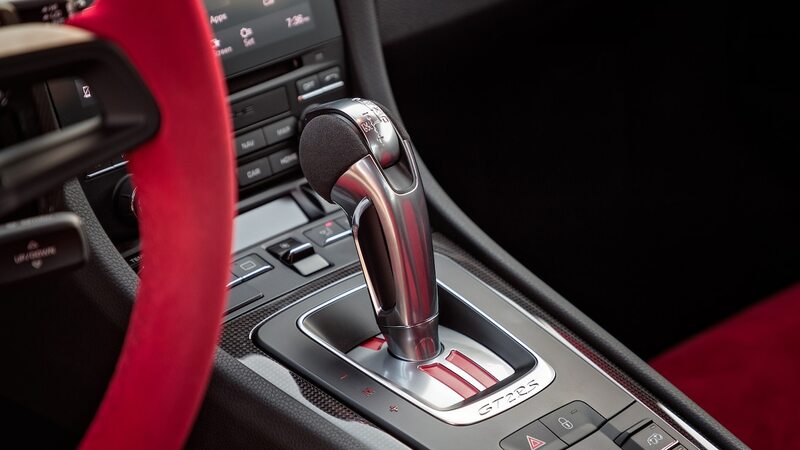 To the contrary, the strictly business Porsche wins on competence and execution. Next to the ’Vette, it’s understated. 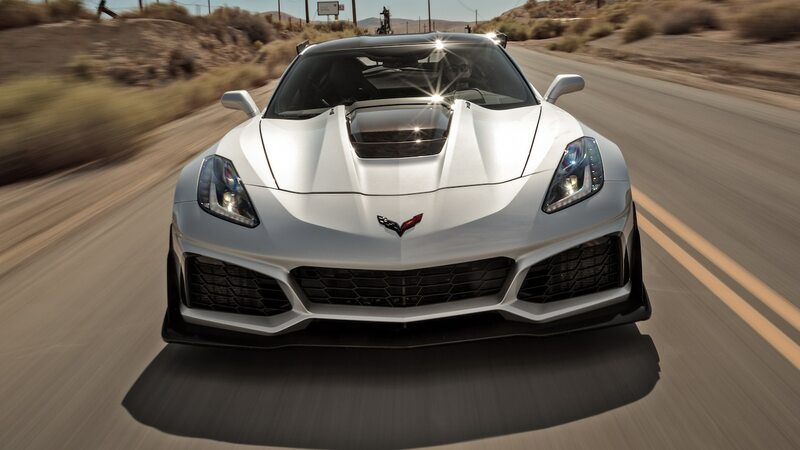 What I see in the Corvette ZR1 is potential; what I feel is frustration. 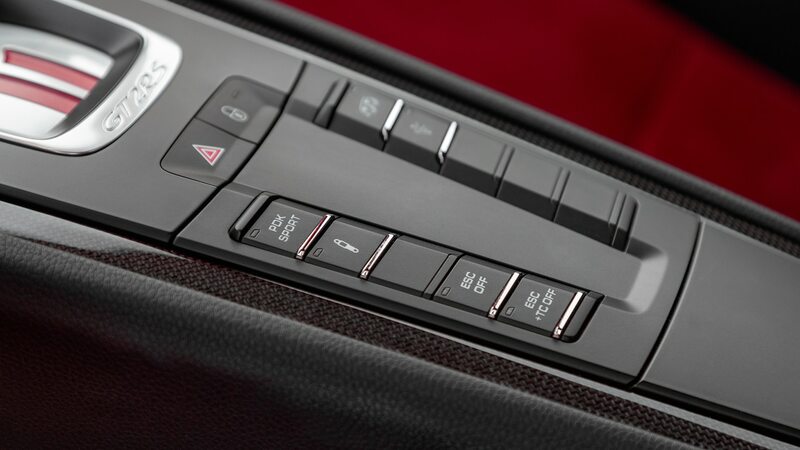 The car is outrageously good at so much and comes tantalizingly close to providing supercar performance. 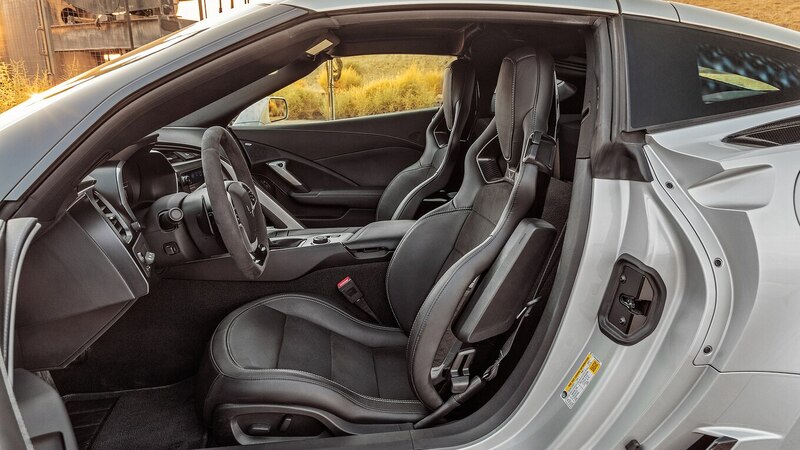 Just find the secret to calming that hyperactive rear end in the lower gears, switch back to the Z06 brake pedal, and you’re there, Chevrolet, at a relatively bargain-basement price for performance, complete with your own muscular, extroverted style. 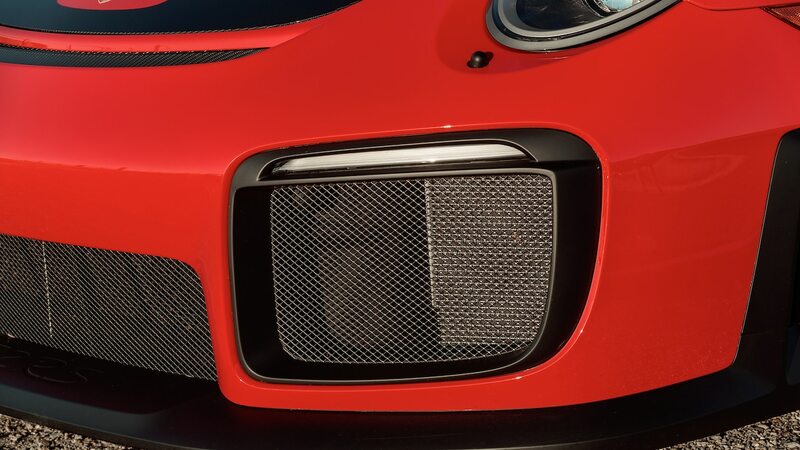 As for you, Herr Doktor Walliser, congratulations to you and your GT2 RS team, for a magnificent driving creation. 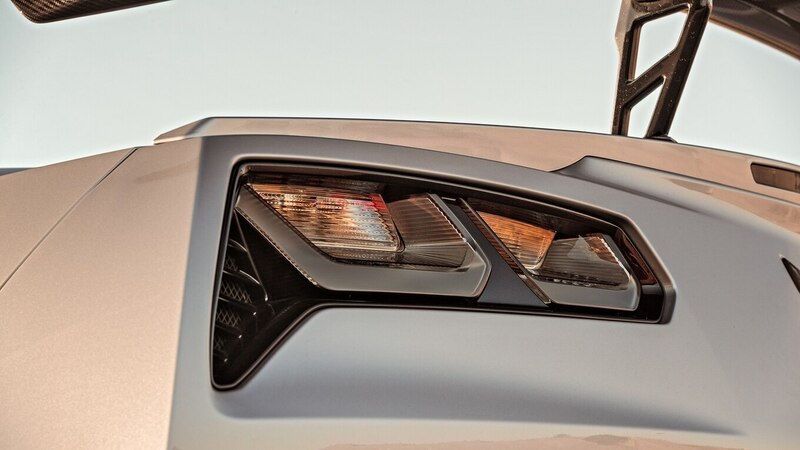 It’s the best all-round performance automobile I’ve had the pleasure to experience—one that inspires passion and desire in this enthusiast like no other.